Meet John Louch, PURE Independent Business Owner and a lifetime member of the DAV (Disabled American Veterans). John joined PURE in September 2018 after being introduced to the company by his brother, Russ Louch. The products seemed great to him, but what really attracted John to PURE was the remarkable dedication from the leadership of those at the highest levels of the organization. In addition, the inspirational leadership John has received from IBO Lucretia Valle (2018 PURE Heart recipient) and the entire Valle team has been amazing and provides him with the motivation to excel. John enlisted in the Army in 1990 and served until 2016. He began his career as a combat medic and after several years received a Green to Gold Scholarship. He earned his commission as an Army officer from Norwich University in Northfield, Vermont. John served as a team leader, platoon leader, company executive officer, detachment executive officer, company commander, detachment commander, battalion logistics officer, brigade planning officer, military transition team executive officer, battalion executive officer and senior military advisor. John was stationed in various locations across the U.S. including Alaska, North Carolina, Texas, Colorado, Washington, Maryland, Kansas, and Washington D.C.
John is most proud of his time serving as a company commander during the initial ground assault into Iraq and as an advisor to foreign governments. He has a wide range of medals and awards from his 25 years on active duty and more than 58 months spent in combat. He is forever grateful for the medics, nurses and surgeons at Landstuhl Army Medical Center in Germany for the care they gave him after being evacuated on multiple occasions. These days, John spends his time volunteering in his community. He is active with the Good News Club which provides free after-school care and shares the message of Jesus Christ with students. John has helped the Fort Hood Area Habitat for Humanity build several homes dedicated to deserving disabled veterans. He is a member of the Southern Baptist Men’s Disaster Relief and Team Rubicon, a veteran-run disaster management/relief organization. The new year is the perfect time to start your detox journey. Join Team28 and get your health back on track. Participants are seeing incredible results and you can too. Follow the program for seven days, or if you desire a deeper detox, continue with the 28-day program for additional results. You’ll create sustainable habits and experience life-changing results. Learn more. PURE is a proud partner of DAV. You can give back to those who gave by visiting livepure.com/giveback. Do you want your story featured in PURE’s corporate blog? Share it with us at marketing@livepure.com. *Individual results may vary. PURE 7-Day Detox Program lowers your calorie intake and suggests physical activity for best results. Share the plan with your doctor if you have a medical condition or are taking prescription medications prior to use. *Individual results may vary. PURE 7-Day and 28-Day Detox Programs lower your calorie intake and suggest physical activity for best results. Share the plans with your doctor if you have a medical condition or are taking prescription medications prior to use. What a great two days of appreciation, innovation, motivation, education and celebration! For those who joined us, we’d like to thank you, and for those who were unable to make it, you can catch the highlights right here! 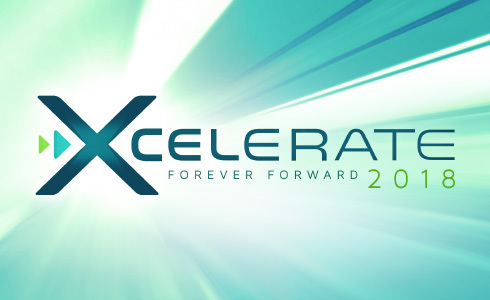 Enjoy this video reflecting on the highlights of Xcelerate! We recognized the accomplishments and success of more than 500 IBOs across the stage Friday evening and throughout the weekend! The inaugural PURE Heart Award was presented to Lucretia Valle for her ongoing philanthropic efforts. The inaugural Heritage Award was presented to Jared and Heather Burnett and Byongwan Lim and Mira Kim for their pivotal roles in growing PURE over the years. We recognized Rising Stars for their accomplishments in their own business but also for inspiring and leading others to build their businesses too in recruiting, team-building and team advancement. The Race to Recruit winner enjoyed an exclusive Q&A lunch with PURE CEO, Daren Hogge and Director of Sales, Sam Crossley. Top Recruiters recognized for their influence in impacting lives with the PURE business opportunity. Team28 Challenge Prize Winner was announced, Ryan Takao! Through the Detox Program, Ryan has been able to grow his business from IBO status to Platinum and received an upgraded cabin on the Eastern Caribbean Cruise and Black Car Service from his doorstep. Top Shareholders were recognized for their contribution to PURE. Inaugural IBOs were celebrated for laying the foundation in 2008 for the PURE business and their leadership in helping to propel continuous growth into the next ten! Eastern Caribbean, Bora Bora & Maui Qualifiers were celebrated for their success in recruiting and achieving ranks! There is still time to earn your way to the Eastern Caribbean and Maui; learn how at www.livepure.com/incentive-trips. 2018 PURE Rank Bonus Achievers were presented with commemorate Xcellence bottles to celebrate how they are impacting others with great products and the opportunity. Team28 achievers were welcomed to hold up signs on stage reflecting their weight loss results from the Detox program. We welcomed many of our PURE family from around the world. We heard from each of our LAC (Leadership Advisory Council) members on Product Education, Dealing with Roadblocks, Mindset/Belief and Winning Big. NASCAR Cup Driver, Gray Gaulding, shared with us the impact products by PURE has had on him and how he will be wrapping his car in PURE branding in select 2019 races. He also distributed Hero Cards and autographs. Dr. Bucky Buckner, Chairman of the WAB, shared the why behind the Cleanse, Balance, Build, Focus philosophy and introduced the new Daily Detox product. Mark Paulsen highlighted the benefits of the reformulated and repackaged GPS product line with the addition of GPS Hydrate in Grape, GPS Circulate in Strawberry Kiwi and GPS Reset. He also shared that we are working to get all GPS products Informed Sports Certified. Updates on the WAB (Wellness Advisory Board) and how they are helping to propel us forward, and the announcement of the Executive Committee comprised of Dr. Bucky Buckner, Dr. Carmen Keith and Rich Scheckenbach who will work directly with corporate on a regular basis to continue to advance us in formulas and science. The Product Expo highlighted the key benefits of all the new products and sales tools and created an interactive, physical experience interwoven with GPS sampling. Inspiring stories from guest speaker Gary Guller about cultivating compassion and responsibility for others. Words of reflection from PURE Founder, Mr. Jung and PURE CEO, Daren Hogge reflecting on where we have been over the past ten years and where we will go in the future. New partnership supporting DAV was announced and we heard from a veteran IBO on how she is seeing the benefits of DAV. Learn more at www.livepure.com/giveback. New Sales Tools launched to help support you in activating your business – Updated Product Guides, GPS Playbook designed to break down the benefits of each GPS product including a Parent’s Playbook for safe children’s usage of GPS products, and GPS Sampling Sleeves, a great tool to introduce people to GPS Hydrate and GPS Energize. Thank you for attending and for your dedication and partnership. Your presence helped to make this event a great success and your enthusiasm and positive spirit helped make our time together special. The event accelerated success and facilitated strong teamwork that will carry PURE for years. Check out the event photo gallery and share your photos with us @livepureglobal (don’t forget to follow us!). Watch our recap video to see some of the special, unforgettable moments at Xcelerate 2018. Because of you, PURE continues to move forward blessing more lives than ever before. We look forward to celebrating with you again soon! *The earnings of the distributors in this publication are not necessarily representative of the income, if any, that a PURE distributor can or will earn through his or her participation in the PURE Prosperity compensation plan. These figures should not be considered as guarantees or projections of your actual earnings or profits. Success with PURE results only from successful sales efforts, which require hard work, diligence and leadership. Your success will depend upon how effectively you exercise these qualities. For detailed information on IBO income averages, visit livepure.com/IDS. NASCAR is a registered trademark of National Association for Stock Car Auto Racing, Inc. PURE Gen Holdings, Inc. disclaims any proprietary interest in the marks of others. PURE Gen Holdings, Inc. and this publication are not authorized, sponsored, or otherwise endorsed by NASCAR. One of our participants was Independent Business Owner (IBO) Kristi Baker. Kristi joined PURE in July 2018 with the Be Fulfilled Pack. She had been exercising consistently but not seeing a lot of change. When she started taking products by PURE, she experienced more energy and felt healthier. Then she learned about Team28 and decided to make some real changes. She was interested in cleansing out the junk and resetting her metabolism. In addition to being an IBO, Kristi works as a chef for a large church in Katy, Texas. She enjoys cooking for her two young boys and husband and giving food as gifts — especially sweets. 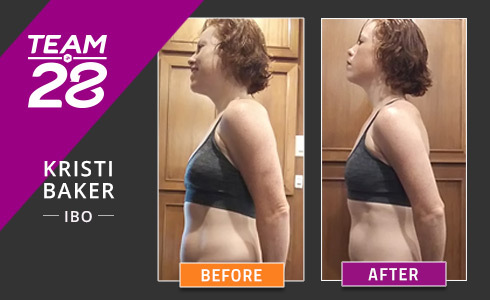 “I started my detox journey in August,” Kristi said. “I followed the plan as closely as I could, despite life’s daily challenges. I had tried unsuccessfully for years to reduce my weight. After 28 days, I was down 7 pounds from 145! I was more lean and muscular. Join Kristi by participating in Team28 and get your health back on track. We are continuing the program through the end of the year, as people are seeing incredible results. Submit your before and after photos here. We’ll send you a PURE headband and Team28 logo! Read other success stories on our Facebook page: https://www.facebook.com/livepureglobal/. Find some delicious recipes for your detox here: https://gplivepure.com/2018/09/21/hit-your-detox-goals-with-delicious-recipes/. Individual results may vary. Share the plan with your doctor if you have a medical condition or are taking prescription medications prior to use. Disney is a registered trademark of the Walt Disney Company. PURE Gen Holdings, Inc. disclaims any proprietary interest in the marks of others. PURE Gen Holdings, Inc. and this publication are not authorized, sponsored, or otherwise endorsed by Disney.